For all the action, mistakes, easter eggs and cameos in blockbuster movies, the drama and comedy behind the scenes can be just as awesome. We're changing things up, and giving you a rapid fire dose of movie trivia you never thought to look for. Screen Rant presents: Know Your Movies: 20 Amazing Movie Secrets That Will Blow Your Mind. The product placement in the Jurassic Park sequel/reboot stuck out like a sore thumb, with Samsung, Verizon, Starbucks, Ben & Jerry's and even Jimmy Buffett's Margaritaville featured prominently. But it wasn't the studio's work. The director actually requested the sponsors, claiming that if the park were opened today, every part of it would be branded. The final battle of the second Avengers movie is set in the fictional Sokovia, but it was filmed at a London police training college. The statue in the town square was given a fake beard for the movie (to resemble an Eastern European figure?) - a necessary move for British audiences, since the statue is a well-known monument to Robert Peel, the inventor of the modern police force, and the reason British cops are still called "bobbies" to this day. The director of Furious Seven, James Wan confused everyone when he explained that the "seven" in the movie's title was meant to be the actual word, not the number of the movie's place in the series. Why? Apparently the movie's title is actually a tribute to the classic Japanese movie Seven Samurai, with Wan seeing Dominic Toretto and his team of racers as Hollywood's modern - horsepowered - Samurai. 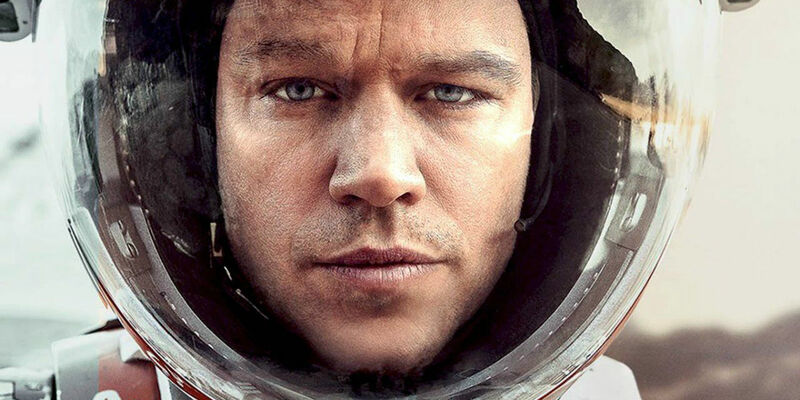 The secret NASA mission to save a stranded astronaut in The Martian is given the title "Project Elrond," a reference to a secret meeting in The Lord of the Rings' first chapter, Fellowship of The Ring. When Ridley Scott realized Sean Bean was actually in that exact scene in the movie version of the story, and would also explain the name in this film, he wanted to change the project's title. But the crew demanded it stay, since the joke was actually a hilarious coincidence. Tom Cruise is famous for doing his own massive stunts, from climbing skyscrapers to hanging onto an airplane as it takes off. But the actor's training even covers the stunt driving in Mission: Impossible - Rogue Nation. It wasn't to meet the star's demands, either: the stunt coordinator claimed he didn't have a stunt driver who was better than Cruise. Any superhero actor has to hit the gym before shooting their scenes, but apparently, Paul Rudd was more committed to getting into shape than Marvel expected. When they started shooting, the Ant-Man costume had to be altered to compensate for Rudd's added muscle and lost fat. And an unscripted shirtless scene was added shortly after. Back in 1983, Mark Hamill gave an interview to TV AM in the UK, and told reporters that George Lucas spoke of bringing Luke Skywalker back as an Obi-Wan-type character training a new generation of Jedi in a potential Star Wars sequel, Episode 7. He also said Episode 7 wouldn't happen until 2011. Freaky. The villain of Fury Road is larger than life in every way - except for the weapon he seems to be praying to. That's an authentic Australian waddy, a weapon used as recently as World War I. When the actor's mother-in-law left it to him, he asked the director to work it into the movie, and the rest is history. Marvel may be churning out blockbusters, but they don't spend money if they don't have to. The massive set constructed for the Kyln prison in Guardians of the Galaxy was so expensive to build, the studio only agreed to foot the bill after planning to melt down all the steel after filming, and sell it back to the supplier. Even though most fans will miss it, Ewan McGregor and Frank Oz were both brought back to record new dialogue as Obi-Wan and Yoda. But the audio team went to even greater lengths, editing Alec Guinness' recordings from the original Star Wars trilogy to pull characters' names out of other words he spoke, giving both Obi-Wan's a spot in the film. The Nick Fury chase scene through city streets was a hit with The Winter Soldier audiences because it actually seemed realistic - but they didn't know just how realistic it was. The sequence was based on a 2010 Brazilian police chase that looks almost exactly the same (minus the flipping cars), and the directors even played the police video as part of their original pitch to Marvel. A major highlight of The LEGO Movie is Liam Neeson's role as both Good Cop and Bad Cop. The directors wanted to record them separately, but Neeson thought it would be better to rapidly switch from one to the other. The result was a crazed, manic split-personality filled with improvisation - and fans loved every second. The movie that rebooted the X-Men movie universe had it all: new mutants, returning favorites... even a romance between Wolverine and Storm. The future scene was deleted, but it showed the movie versions of the heroes finally gave in to their attraction like they had multiple times in the comics. Maybe the second time is the charm. The original ending of Dawn saw the apes watching as battleships approached in San Francisco Bay, promising an imminent war. Director Matt Reeves decided to go with a more emotional ending between the movie's ape and human leads. It's a incredible ending scene, even though it was filmed weeks before release, Reeves directing via Skype, and a stand-in for Andy Serkis' actually on set. It may have killed Sony's solo Spider-Man series, but the original ending would have had fans talking for years. Peter's father Richard Parker coming back from the dead is one thing, but showing Venom in OsCorp's basement - along with the frozen head of Norman Osborn - leaves every fan with unanswered questions of what would have come next. In all the suspense and twists and turns of this story, audiences probably missed some time-consuming CG effects. 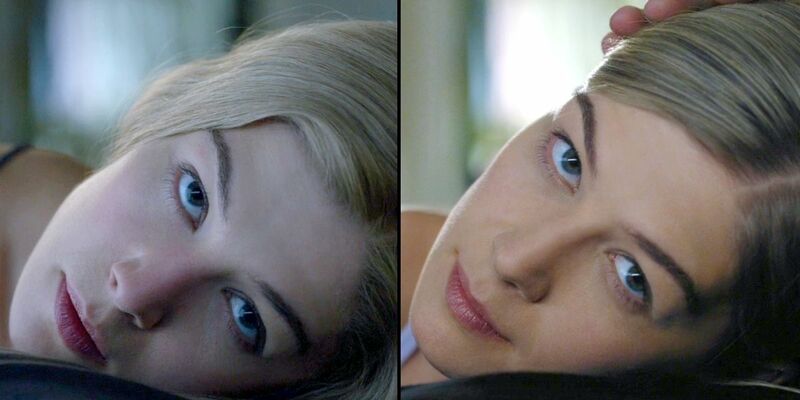 According to director David Fincher, with the number and variety of wigs that star Rosamund Pike had to wear, there isn't a single shot of her in the movie that didn't require a special effects team to retouch her hairline. Who knew to even look? When Henry Civil showed up for his Superman screen test, the prototype Man of Steel costume wasn't available - so they used the classic Christopher Reeve version instead. When Cavill stepped out of wardrobe in the brightly coloured, outdated suit with bright red underwear, and everyone on set grew quiet, he knew he had found the man for the job. The sprawling corn field used in just a few scenes of Interstellar required 500 acres to be planted and grown. It might sound like insanity on Christopher Nolan's part, but when shooting wrapped, the corn was sold - for a hefty profit. Most fans know the Disney hit Frozen is based on "The Snow Queen" by Hans Christian Andersen. But the main characters' names are no coincidence. Say them out loud fast enough, and "Hans, Kristoff, Anna, Sven" is clearly a play on the author's name that few will catch on their own. Director Steven Spielberg had young actresses record blood-curdling screams to see how they'd handle the movie's terrifying twists. When he played actress Ariana Richards' tape, and it was the only recorded Scream to raise his wife from bed in a panic, he realized he had found his Lex. Those are some of our favorite mind blowing movie facts, but let us know which ones we missed and stay tuned for more! And remember to subscribe to our channel for more videos like this one.